The AWP (Advanced WordPress) Facebook group is now 20,000 members strong. Yay! Twenty thousand members in AWP group depict the generous involvement and impressive growth of advanced WordPress developers community. AWP started back in 2011, with a small team and now we are a group of 31 admins in total, and I (Ahmad Awais) have the privilege of being one of them. AWP is probably the biggest and most incredible WordPress Facebook group for developers. To celebrate this milestone, we have put together a huge giveaway worth more than $40,000 $80,000 $95,000 $140,000+ with the help of generous WordPress businesses. This giveaway is a full-fledged WordPress treasure box which includes more than 300 products and services. The winners will get access to these amazing products for free. Here is the list of all the amazing people and companies who have generously participated in this contest by giving away a large number of products for free. Without their contribution, this giveaway would not have been possible. 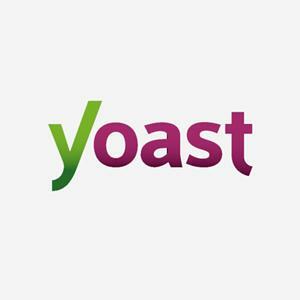 Yoast SEO WordPress plugin Giveaway: 10 one-year licenses of Yoast SEO Premium plugin worth $690. MyThemeShop Premium Themes & Plugins Giveaway: 3 licenses of premium themes and plugins plus one license of extended membership worth $673. WP Rocket Plugin Giveaway: 3 personal licenses worth $117. 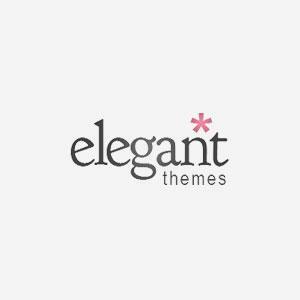 Elegant Themes Giveaway: 4 lifetime accounts of Elegant themes and plugin worth $996. MediaTemple Hosting Packages Giveaway: 1 year of free WP Hosting Studio, 1 month free of CTAO Essential priority/premium support worth $919. GoDaddy Hosting Package Giveaway: 3 individual 12 month credits worth $144. Page Builder Sandwich Giveaway: 7 premium licenses worth $650. 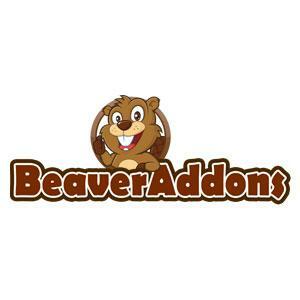 BeaverBuilder License Giveaway: 2 licenses worth $398. 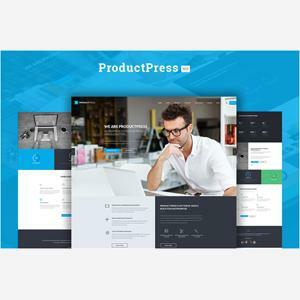 ProductPress WordPress Theme Giveaway: 5 licenses of ProductPress worth $250 and two complete online store set ups worth $7,000 with one hour of one on one consultancy sessions worth $3,000. Total worth $10,250. 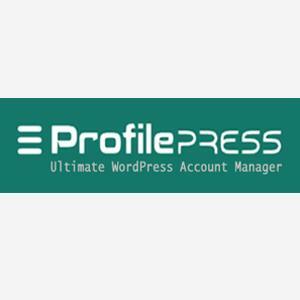 ProfilePress Account Manager Giveaway: 2 licenses worth $198. LearnPress Plugin Giveaway: 2 premium add-ons worth $600. 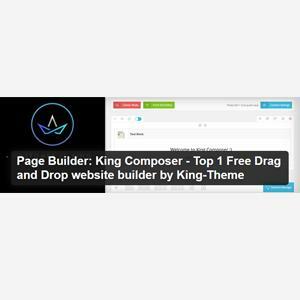 KingComposer – Page Builder Drag Drop plugin Giveaway: 10 premium licenses worth $990. Real Places by Inspiry Themes Giveaway: 5 standard theme licenses worth $295. 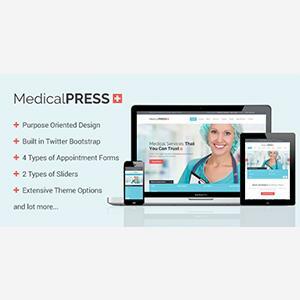 MedicalPress by Inspiry Themes Giveaway: 5 standard theme licenses worth $295. 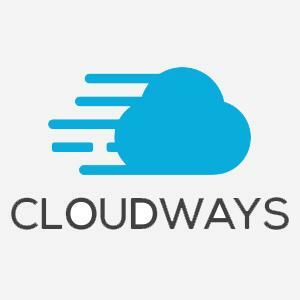 Cloudways Web Hosting Giveaway: 3 licenses of 1GB managed WP hosting for 6 months worth $270. SiteGround Web Hosting Giveaway: 3 licenses of GoGeek for 12 months worth $540. Give WordPress plugin Giveaway: 1 license for the Pro Bundle, 1 for the Plus Bundle, and 3 for the Basic Bundle worth $1035. 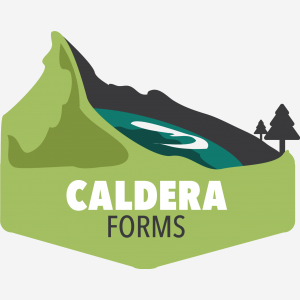 Caldera Forms Giveaway: Caldera Forms 2 Unlimited Bundles. 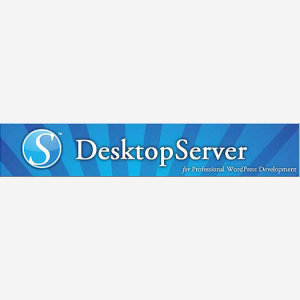 Desktop Server by ServerPress Giveaway: 1-year membership worth $100. Freemius Giveaway: Single license of Freemius Insights for 10 months worth $300. 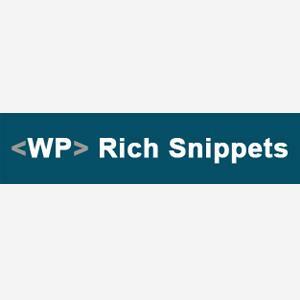 WP Rich Snippets Plugin Giveaway: 10 licenses worth $1190. 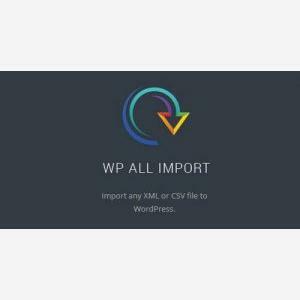 WP All Export Giveaway: 5 licenses worth $495. 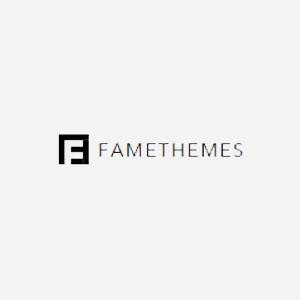 Fame Themes Giveaway: 10 licenses of OnePress Plus WordPress theme worth $490. 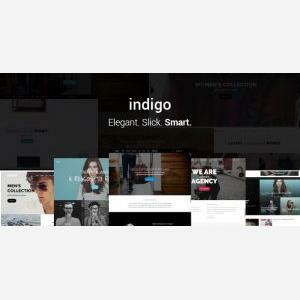 Indigo WordPress Theme Giveaway: 5 licenses of premium themes worth $295. 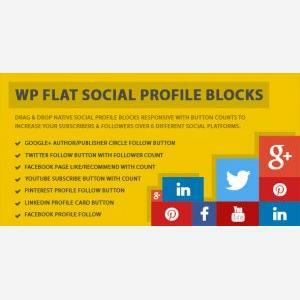 WP Flat Social Profile Blocks plugin Giveaway: 3 licenses worth $45. Google Maps Widget PRO Giveaway: 3 licenses worth $117. 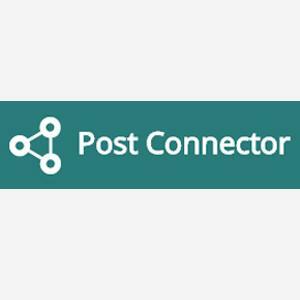 Post Connector Giveaway: 1 personal licenses worth $49. 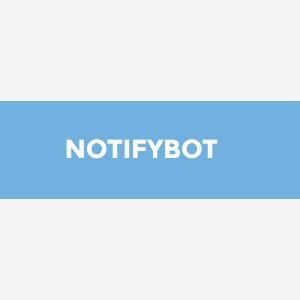 NotifyBot Giveaway: 5 licenses worth $125. Hosting.io Web Hosting Giveaway: Single 1 year free managed WP hosting DIY Plan worth $468. 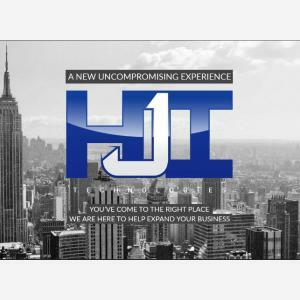 Web Hosting by HJI Technologies Giveaway: Single 6 months licenses of Core Hosting account and Nexus Hosting Account worth $125. Easy Content Types WordPress plugin Giveaway: 3 licenses of worth $117. 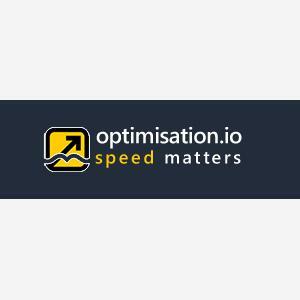 Optimisation.io WordPress Plugin Giveaway: 3 licenses of worth $177. 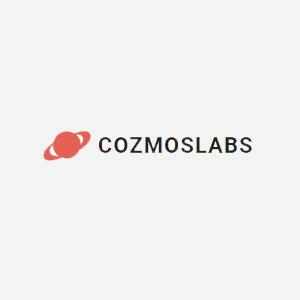 CozmosLabs Products Giveaway: Single licenses for Profile Builder Pro, WordPress Creation Kit Pro and Paid Member Subscription Bundle worth $427. 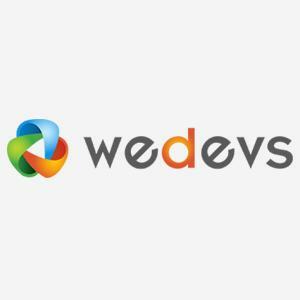 WeDevs Premium Plugins Giveaway: 2 licenses each of WP Project Manager Pro and WP Front-end Pro worth $216. Professional WordPress Themes Giveaway: 1 Standard License of any self-hosted theme worth $175. 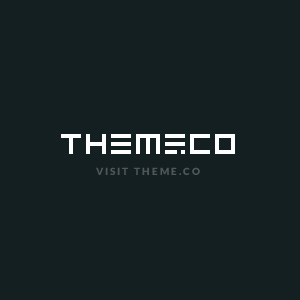 Acme Themes Giveaway Giveaway: 2 licenses each of SuperMagPro, AcmeBlogPro, Corporate Plus Pro and Infinite Photography Pro themes worth $392. WP Developer Plugins Giveaway: 3 licenses each of Facebook Secret Meta Pro and Twitter Cards Meta worth $104. 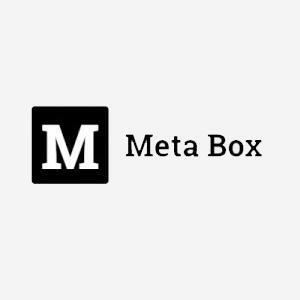 Meta Box Core Extensions Bundle Giveaway: 3 licenses of extensions bundle worth $297. 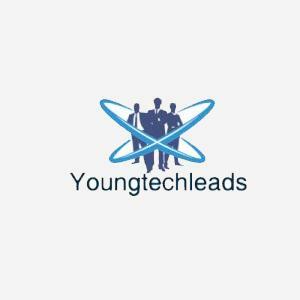 WordPress Plugins By Young Tech Leads Giveaway: 5 licenses each of WordPress Change Table Prefix and WordPress Database Cleaner worth $145. 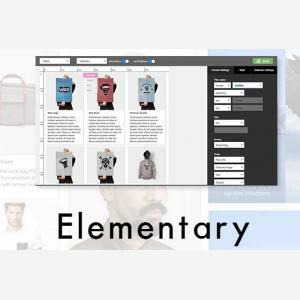 Elementary WordPress Plugin Giveaway: 5 licenses worth $145. Web Hosting by Plesk Giveaway: 50 licenses for 6 months of Plesk for Web Pro Edition including WordPress Toolkit worth $250. Press Wizards Web Hosting Giveaway: 1 year of free WordPress performance hosting worth $168. 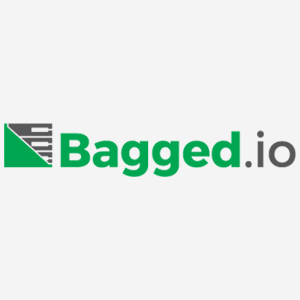 Bagged.io Giveaway: 3 one-year subscriptions worth $600. 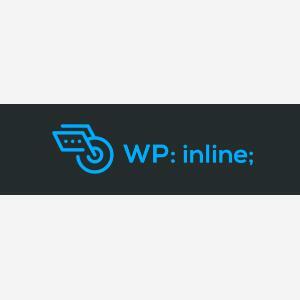 WP:inline Giveaway: 3 premium licenses of wp:inline worth $900. Creating Plugins to Extend WordPress Giveaway: One single video training course worth $80. 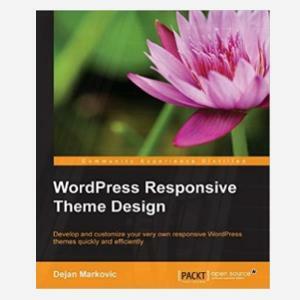 WordPress Responsive Theme Design Giveaway: 1 digital copy of WordPress Responsive Theme Design book worth $28. Products on Store Apps Giveaway: 15 licenses of different premium plugins worth $1000. 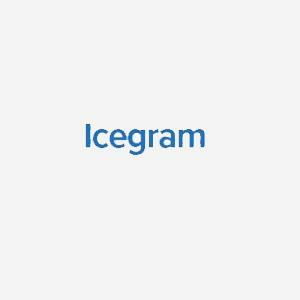 Products on Icegram Giveaway: 15 licenses of different premium plugins worth $1000. 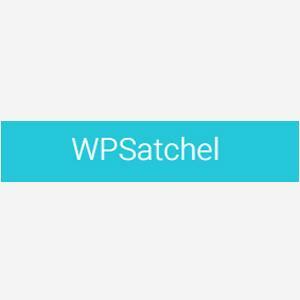 WP Satchel Giveaway: 10-lifetime licenses of Maera, Maera Material Design, Maera Bootstrap, Maera Restaurant worth $3990. 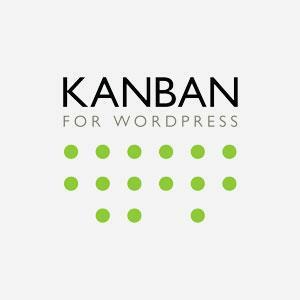 Kanban for WordPress Giveaway: 2 bundles of all ad-ons forever worth $300. Smart Slider 3 Pro Giveaway: 2 Lifetime licenses of Smart Slider 3 worth $200. GoWP Giveaway Giveaway: Single Winner of White Label WordPress Support for Agencies for three months worth $900. 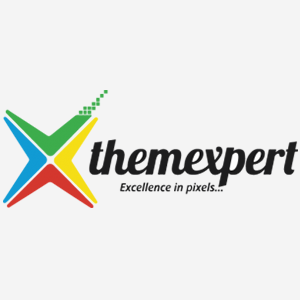 WordPress Theme Club Membership Giveaway: 2 Business Memberships by ThemeExpert worth $158. WP Square Giveaway: 5 hours of free support for single winner worth $150. 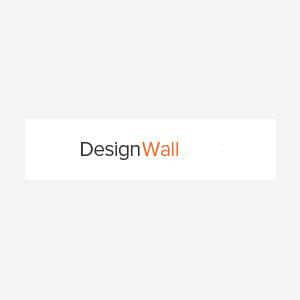 DesignWall Package Giveaway: 1-year membership of DesignWall Developer Package worth $99. 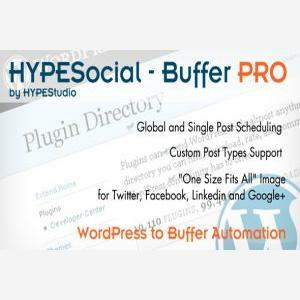 HypeStudio Giveaway: 1 unlimited license of HYPESocial-Buffer PRO worth $199. 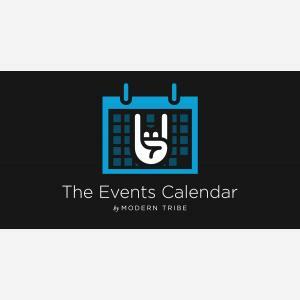 The Events Calendar Giveaway: 1 personal license of Importer Bundle worth $199. 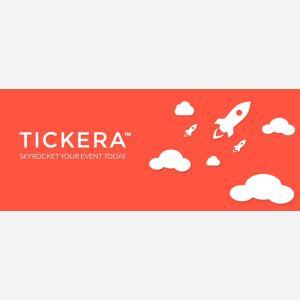 Tickera Giveaway: 1 lifetime license for Tickera WordPress event ticketing system worth $349. OpenTute+ Giveaway: Single license of BuddyPress Social Login and BuddyPress Question Answer worth $58. 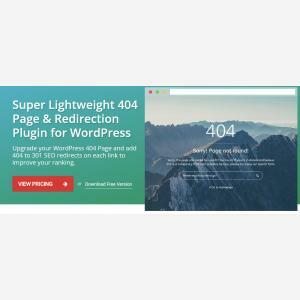 Forty Four – 404 Page & Redirection Plugin Giveaway: 15 licenses of Forty Four – 404 Page & Redirection Plugin for WordPress worth $225. Related Posts for WordPress Giveaway: 1 plugin license worth $39. Download Monitor Plugin Giveaway: Any single premium extension worth $39. Pick Plugins Giveaway: 25 licenses of premium extensions worth $125. Social Pug Plugin by DevPups Giveaway: 2 licenses of Social Pug plugin worth $78. tinyIP Plugin by Arunas Giveaway: 3 licenses of tinyIP WordPress plugin worth $36. Pressjitsu Managed WordPress Hosting Giveaway: 1 license of Pressjitsu Managed WordPress Hosting Solo Plan worth $40. 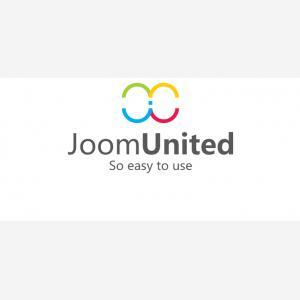 WordPress Developer Bundle by JoomUnited Giveaway: 3 licenses of WordPress developer bundle. 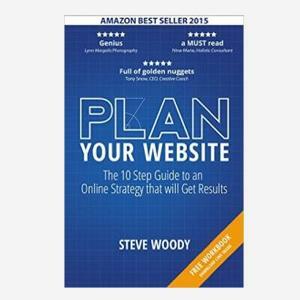 Plan Your Website Giveaway: 1 eBook Plan your Website worth $8. 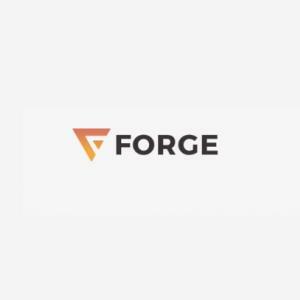 Forge – Front-end page Builder Giveaway: 5 licenses of premium extensions. 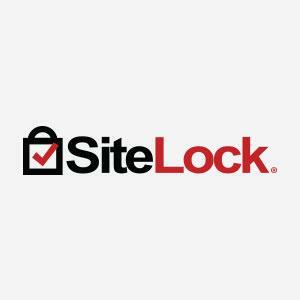 SiteLock Subscriptions Giveaway: 3 Free One Year Subscriptions to SiteLock worth $1411. 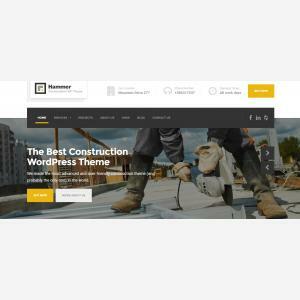 Hammer – Construction WordPress Theme Giveaway: 10 standard theme licenses of Hammer worth $590. Foo Plugins Giveaway: 3 licenses of FooBox and FooVideo Plugin worth $174. 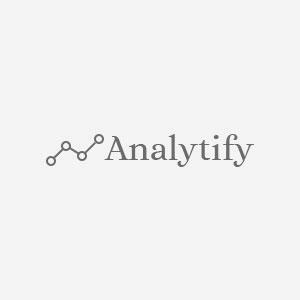 Analytify Giveaway: 3 personal licenses of the Plugin worth $87. 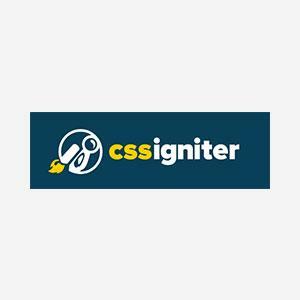 CSSIgniter Giveaway: 2 lifetime licenses of the Premium WordPress Themes worth $500. 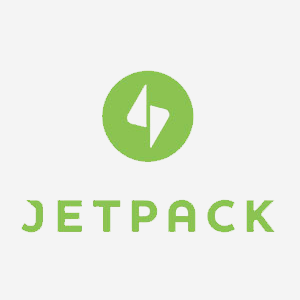 Jetpack Pro Giveaway: 100 one year licenses for Jetpack Pro worth $29,900. 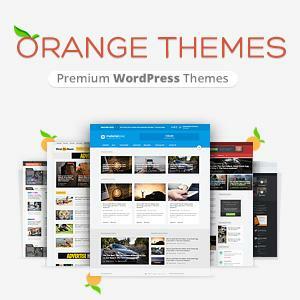 Orange WP Themes Giveaway: 4 lifetime membership accounts of the Premium WordPress Themes worth $1000. PowerPack for Beaver Builder Giveaway: 10 licenses worth $500. ApproveMe’s WP E-Signature Giveaway: 6 Pro Licenses + 2 Business Licenses worth $1500. 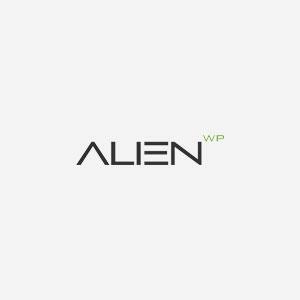 AlienWP Themes Giveaway: 1 lifetime license worth $150. 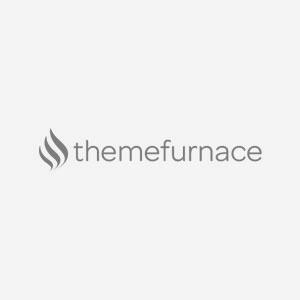 ThemeFurnace Themes Giveaway: 1 lifetime license worth $150. X Theme Giveaway: 3 lifetime X Theme licenses worth $2oo. Project Management Solution Giveaway: 5 Team accounts for 12 months worth $72oo. 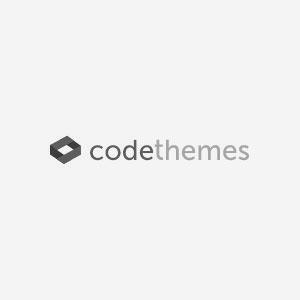 CodeTheme Giveaway: 3 Memberships and 5 RoboJob theme licenses worth $70o. 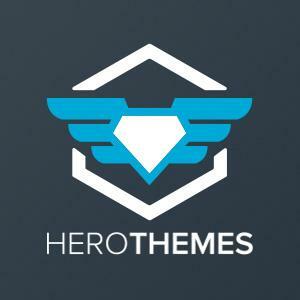 Jewel Themes Giveaway: 3 Polmo Pro Themes worth $68. 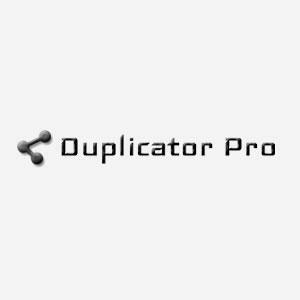 Duplicator Pro Giveaway: 10 plugin licenses worth $5oo. Opt-In Panda & Social Locker Giveaway: 4 plugin licenses worth $1oo. 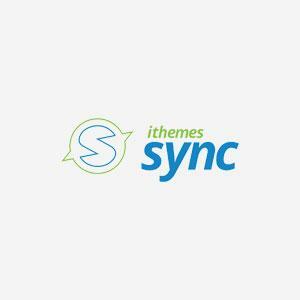 iThemes Sync Pro Giveaway: 1 iThemes Sync Pro account 10 sites/yr worth $13o. 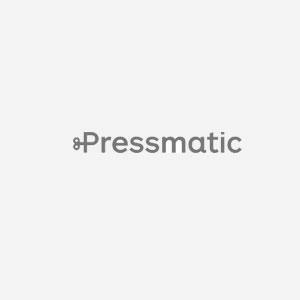 Pressmatic Giveaway: 3 Mac App Licenses worth $400. 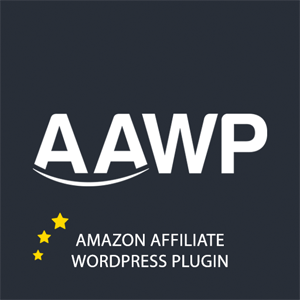 Amazon Affiliate for WordPress Giveaway: 3 Developer Licenses worth $665. 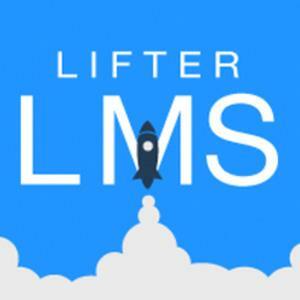 LifterLMS Pro With Extensions Membership Giveaway: 5 lifetime licenses worth $1,300. KnowAll – Knowledge Base Theme Giveaway: 3 licenses worth $300. Timeline Express Giveaway: 2 licenses worth $80. Custom Post Type UI Extended Giveaway: 5 licenses worth $100. 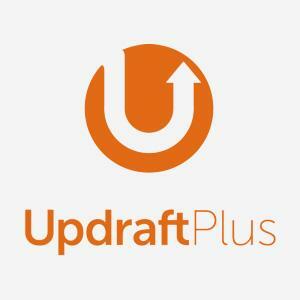 UpdraftPlus Premium Giveaway: 10 licenses worth $700. 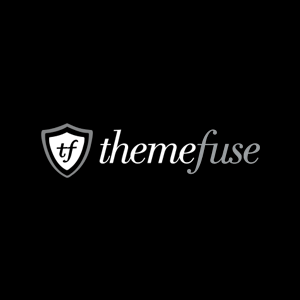 ThemeFuse Giveaway: 5 one year Club memberships worth $975. Below you can find the details of products which you can win by participating in this giveaway. There are no hard and fast rules to enter the contest. All you have to do is that to make sure that you’re a member of Advanced WordPress Group and if you could, you might want to get more involved in the currently active threads. Make sure you log in and go through these steps in the following RafleCopter’s widget. It’s how we’ll get your email ID to contact you (in case you win a package). P.S. We will be emailing you the details about how to get the prizes you won. Bear with us. It’s a long list of 400 products. [UPDATE 2016-08-02] We are still compiling the list of winners and dividing them into packages, but with a full-time job and 100 winners, that’s more than 150 emails. Hopping to email the winners by this weekend. What does WordPress mean to you? WordPress is now my part of life it’s not only about my freelance job. with WordPress I help my family in financial & various way, I can help/support my sister until she graduated from her university (cheers 😀 ). I used to work in software house as programmer & front-end and I have low quality time with my family. now when I’m freelancing I have more time with my family. and yeah lot of my client satisfy with what I do. my decision in 2015 is right, to learn WordPress and make it as primary living. WordPress to me means a way to elevate myself from the many disadvantages of living in a 3rd World country such as lack of employment and saturated career paths. Through WordPress I have been able to meet many great people and make strides in my career path as a Developer. WordPress is the best thing to happen to me in my life thus far. To me, WordPress is about endless possibilities, complete ownership and the ability to do whatever I want with a site, in whatever language I want to do it, whenever I want to and wherever I want to. WordPress allows me to display a lovely website with fantastic tools and plugins from super folks! A developer of 20 years, WordPress has Transformed how I make my living, and my personal community! WordPress, whatever its form in the future, will continue to be how I pay for my kids college.. The opportunity to build a publishing business with all the tools that WP offers me as a developer/entrepreneur. By leveraging wordpress and its plugins i am able to offer functionality and agile growth otherwise would have required millions. I love this stuff, its community and the way it is heading. As a developer, it means I have a roof over my family’s head, and food on the table. I am grateful to the creators of WordPress, and the generous community that surrounds it. WordPress means to me the thing I spend more than 12 hours per day for. WordPress is a canvass for my creativity and assists me in helping businesses grow. WordPress allows me to live anywhere in the world, while also doing a job I love! Learning & Working with WordPress for making my living. Because it’s so easy I can learn it easily and it’s so powerful that If Allah(Almighty) Wills using this tools I will make Handsome amount of money in future. WordPress means having fun with code, be fast and deliver a excelent experience, for my clients and for their clients. Also, pay my bills on the end of the month!!! WordPress change my life. My creativity with wordpress won’t stop! Its my life! WordPress means an opportunity to pursue my dream career of being a web designer! WordPress has provided me a tool for offering my clients quality scaleable website solutions. The advances in WordPress over the years has given me a stable platform to develop for my clients with the confidence to know it will be around and relevant for the years to come. WordPress has meant a great deal to me over the years. Initially, it was a platform that allowed me to express my thoughts and heart, and to sharpen both my mind and my pen. Since then, it has increasingly become my bread and butter, and by extension a platform for creative solutions to address the business needs and hopes of my customers. I’m grateful for WordPress, its architects, and the development and design community that have sprung up around it. Looking forward to what the future holds for WordPress its fellow devotees! Being a developer for 7 years, and in last 3 years with my WP Agency, WordPress made the roller coaster ride of life a smooth one. Most happy thing is more than 10 families depends on WordPress for their living through us and that helps us to make the greatest smile in the world. Without WP we would have struggled a longer time to reach what we are now. I think this is the right place to say Thank you WP. To me, WordPress means serving my clients, using a platform that is developer-friendly, designer-friendly, and end-user-friendly. Plus it helps put food on the table for my family! Wp means to em : The opportunity to build my new business with all the flexibility. I got my toes wet in the sea of web development with Drupal, because at the time it made a lot of sense. For awhile I’ll admit I was kind of snobby about that. I never expected that my first ‘real’ development gig would be with a WordPress agency. Now I get a thrill from exploring edge cases, and pushing WordPress past the limits I had wrongly assumed it had. So to me, WordPress has taught me to not be afraid to take a second look at something we had written off. Working on / with WP have been the best parts of my career, and sharing back to the community through AWP and WordCamps have been the best parts of technical communities I’ve been a part of. This comment will win I tells’ya! Win big! Freedom. The ability to make a site my way, not limited to pre-designed themes or templates. The only limits are my knowledge and the time I have to learn. What does WP mean to me? As a relative novice it means that I’ve been able to create my own job and company, instead of just working for one. Cannot be overstated…. When I look back 6 years from now. I have come a long way. I was a basic php learning when I was introduced into WP. Now I live and breath on WordPress. My job as WordPress developer allows me to explore more into it, build application with it. To be honest WP isn’t perfect but the World is a better place with WP around. Looking forward towards future to experience what it reveals. 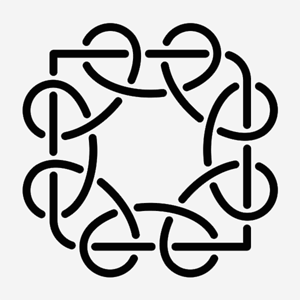 WordPress is how I bring 2000 families — families of various religions, cultures, languages, beliefs — together as one community; otherwise they are just a colony without unity. Proudly unified by WordPress. WordPress means a lot to me. It helps making beautiful website a piece of cake. I can satisfy client’s requirements very quickly and they are always happy to see the fantastic result which is made possible only by wordpress. I just love it. I wish to do more amazing things with wordpress. What does WordPress mean to me? It means I am able to explore both my technical and creative side in a way that helps me and my clients. Sure, I could do that with any number of other content management systems, but WordPress is the best fit for me. I’ve tried to wander away, thinking there might be something better, but WP is like a magnet that draws me back. Sometimes under protest, even. But back I come, nevertheless. It is not perfect. But it is as right as I have been able to find. It means freedom. And the ability to make a site right the way i want, not limited to pre-designed themes or templates. The only limits are my knowledge and the time I have to learn. WordPress allows me to make a living from home and challenging myself to improve. But perhaps more importantly is teaching others how to do it as well due to the small learning curve. The software and community is simply amazing. Thanks! WordPress has allowed me to transition from a relatively code-free career path (IT management) to being a full-fledged developer, letting me pick up useful cross-discipline skills while also becoming part of the wonderful community that surrounds WordPress. Can’t really find a word to describe WordPress, it’s just AWESOME! WordPress means not having to reinvent the wheel for every project, and standing on the shoulders of giants who give away their knowledge and experience to others in the community. WordPress is simple – it’s just about everything. From simple blogs to fancy eCommerce sites, from brick and mortar, NGOs to a Fortune 500 corporate site. It can take you anywhere – make it simple, do it complex, gain real power and change the world or help other people see your world on your WordPress site. Wordpress is all about simplicity, being flexible, ever changing and improving – believing in the things you like to do and they way they should be done to meet any unique business case or personal project. WordPress has given me the gift to help others with plugins. 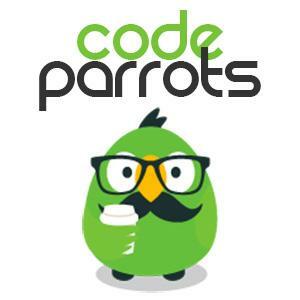 It is also a tool which is helping me become a better developer by learning from others and the contributors. It gives me freedom to work with what I want, on what I want and where I want 🙂 It really has changed the way I live. WordPress means more websotes for everybody!! WordPress has been my go-to from Drupal, when my hard work in Drupal had to be reset due to their terrible upgrading options. 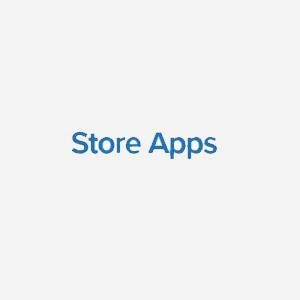 It was the ecommerce software I used and endured (Cart66) and then loved (WooCommerce. I spent tons of money on WordPress, buying WordPress themes and plugins before deciding, hey, I wanna build some myself. To me, I read, use and write about WordPress. WordPress was my first love (<3) with code. And till then I'm living with WordPress. From theme development, I now entered in plugin development arena, and doing professional works with it. Would love to live with WordPress till the end. WordPress to me is a profession, a hobby, a community, and a passion. For me, it means a way of life, the tool that will help me to accomplish my goals. WordPress makes my life better. WordPress means everything to me. Firstly, it is my source of bread and butter. Secondly, due to its easy to use nature, it helped me to start blogging in 2011. Also, it helped me to make many friends in the WordPress community. Thanks a ton to you and to AWP for hosting this giveaway! This is going to be a ton of fun! I have been a member of Advanced WordPress Group on FB, but never really participated much. It’s a great group with fantastic people; it’s like a treasure for anyone aspiring to learn Advanced WP. To me WordPress is the world’s greatest software, which makes lives of millions of people easy. It paves the way to numerous opportunities, the way to meeting great personalities. It is what makes my work easy. Marko said “Bread and love”. I can echo that. So, for me, WordPress is awesomeness! WordPress puts food on my family’s table. Well, I am a Blogger and Affiliate marketer (who runs more than 20 Blogs and Niche sites) and WordPress is Quite literally a BIG part of my work life. Thats like too big list to even compile! Lots of hard work. For me wordpress is one of the great open source projects, what allows people to create their online presence. Having the large community and plugins wordpress allows to achieve almost any kind of complex requirement to build a site. WordPress to me means everything. It is the road that I have chosen to brand myself on the online world. Why I chose WordPress? Because it’s easy to noob like me to work around it. I have 2 websites (thoughtsreel.com and imeetslife.com) that I run using WordPress and it is indeed a major part of my life. Winning this Giveaway means a lot to someone who is looking to become a very active member of the community. WordPress is the modern day representation of what is right with the world. Open, Inclusive, Empowering & Evolving. To me, WordPress means having a solid base for a huge variety of web requirements. It means having a skilled user base, finding high quality resources, solving all kind of issues and literally running the web. WordPress is more than a CMS, it powers a quarter of the Internet, it powers a passionate community and conversations, it’s a way to make a business larger than life, a stepping stone to coding, it’s poetry, it’s a way to convey creativity, it is a way of life. An easy and powerful and flexible way to get a portal or a webiste or a ecommerce or a platfrom or a membership etc..
WordPress means community and innovation. WordPress is how I make my living. Without WordPress I probably would have never became a developer by profession. WordPress is life! WordPress means joy and passion for me, it has helped me push myself to be a better developer and create user friendly websites with the power of a an amazing CMS under the hood. WordPress is my bread and butter and its give me a better career. Exploring WordPress my hobby. WordPress is the basis to everything I love to do.
.:: What does WordPress mean to me ::. WordPress is not just a tool but a whole world within itself. Today, it stands as the best CMS in the world accounting for more than million of websites over the internet. I believe WordPress doesn’t limit its approach to blogging purposes only. It is a full fledge web designing application used to design almost any kind of website with high flexibility and unlimited customizability options. May it be a personal portfolio, a community forum, an ecommerce web store or an audio/video/content blog, with WordPress you cannot only craft it but add an element of exceptionality to it. WordPress has enabled me to move from print to web with my passions: design, front end development – and tea. Combining it all in a WooCommerce store selling tea. WordPress to me means the awesome community, WordCamps, WordPress groups esp AWP, that doesn’t stop at anything. People in the community doesn’t give it a second thought before lending help. I started my career as a WordPress Developer and its been more than 4 years and I am enjoying every bit of it. Well, I started with WordPress 10 years ago – and I never stopped regretting it. It is a valuable system to work with – and the eco system around is huge and great! Transparent web software that lowered the bar for people to enter web development..
At its core – pretty good software. I remember when I started using WordPress in the late 2008, it was great. Sure it had a lot of features missing but the basic was there. Putting up simple sites/blogs, today we use it to setup complex e-commerce shops and a lot of custom sites. To see it grow with plugins and the communities is just fantastic. Today I mainly use WordPress in my work and I love the open-source. WordPress is my daily driver 🙂 I work on lot of project and I enjoy it! WordPress has evolved over the years as an indispensable tool for developing all genre of websites you can imagine. WordPress is the tool which I depend on for my end to end web development. But the icing on the cake is wordpress is a dynamic platform which is keeping pace with the new technologies . I started my career with WordPress. Never Looked back. Today WordPress is the primary source of income for me. It is around 90% of my work. WordPress to me means choice to have the website as I want, without being worried about its complexity or security. WordPress is the power to create, connect and level the playing field for people who just want to share and connect with other people. WordPress allowed me to earn a steady additional income to support my children at university. Thank you WordPress! Evangelize, train, speak, develop, and consult about WordPress since 2006. Always pushing focus on User Experience. What does WordPress mean to me? Roughly about two years ago now I met a group of amazing entrepreneurs, that had the same goals as myself, which was to launch a internet tech business. Myself being the noob of the group had very little experience in this industry. However, my team at the time were not, and this wasn’t there first rodeo. Shortly after my developer introduced me to WordPress the CMS for online website. He proceeded to explain how the site builder work, as well told me that I did not need to know much code, and if I played around with it ,I would catch on faster then I thought. In all he was right for days I devoted some time to learn this simple to use CMS. 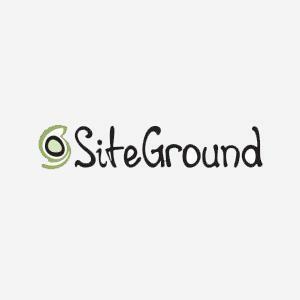 Roughly after 2 months I was hooked, I couldn’t believe that there was sitebuilder like WordPress. Now a days I use WordPress for the majority of all my projects, and when individuals ask me what CMS I use , I say WordPress #FTW. WordPress has evolved my way of life, given me opportunities I could only imagen off, and has given me the fire to keep diving in to learn more. WordPress changed my life, and if this comment can help change someone else’s, then my job here is down. Two things. One is sentimental value – my first act of participating in the internet was my WordPress blog back in 2006. Secondly, it is irrefutable proof of large communities of humans engaging to successfully collaborate in creating things that make a larsting positive influence in each of their lives – the comments on here clearly show it – as well as the world. What does WordPress to mean to me? It means empowerment. I’m able to empower my clients, friends, family to create and maintain content on their own websites with an easy to use tool. Since I’ve been able to dig into how WordPress works, and start building themes and plugins, I then can share my processes, and knowledge I’ve gained with the WordPress community. Which community is another thing that WordPress means to me, I’ve met some great people and I’ve learned alot from them, and I hope I’ve been able to help others as well. Thank you for an excellent opportunity to get a great prize! WordPress is the first thing that pops in my head whenever I hear or see the word website development. I have used it for my blog. I use it for my clients. It’s an essential to the work I do! WordPress has changed my life. I started web development with core PHP/MySQL but soon I fell in love with WordPress. Now I can’t think of a single day without WordPress and it’s awesome community. Thanks to everyone and specially to all those who are working really hard for WordPress. What does WordPress mean to you? I came from Drupal – so to answer what WordPress means to me, I have to look back at the Drupal days. WordPress means better community; better community support; and ease of use – both for developers and for end-users. Moving to WordPress has been a great move for me. I’ve enjoyed developing with WordPress and look forward to learning more about it. I get to use WordPress to build marketing sites that help children in poverty around the world. It gave me the ability to create a decent website with CMS while having almost no PHP experience. From there I got more and more involved and learned a lot along the way. What does WordPress mean to me? It means the ability to live my life however I chose and to dedicate myself to a community that is changing the world as we know it. It is the freedom to work from anywhere in the world and make a decent living. WordPress allows for so much flexibility when building websites of all sizes and the community is totally awesome. WordPress means “opportunity” to me as I’ve had the platform to build webpages for family members with startups, non-profit organizations as well as my own portfolio of photography and videography. WordPress means that I get to learn new skills and coding techniques to make great websites while earning a living doing something that I really enjoy. At large, WordPress has democratized the web unlike anything else. Personally, WordPress means delivering professional, customizable, and beautiful websites and web applications for our clients. It is heart of my business – and that is I why I try to contribute as much as I can to the larger WordPress community when given the opportunity, by organizing, speaking, and sponsoring WordCamps and sharing my knowledge at WordPress meetups. For me, WordPress means being able to provide affordable web & marketing solutions for small local businesses and nonprofits to help them succeed. It also means being a part of one of the most generous online communities out there. WordPress is the canvas that allows me to make the things about the stuff with the people in the places. Lots of great tools for WordPress users. WordPress is a software platform, community, and economy. It’s like it’s own world. WordPress has opened many doors for me, leading to work and personal expression. And for that, I’m thankful! WordPress provides me with the ability to live life on my terms through a constantly evolving development platform that is powering the future of the web powered by the best open source community out there. WordPress can be used for building simple or very complex sites. WordPress has allowed me to build a business that gives me amazing freedoms, engage with a bloody incredible worldwide community and not have to sacrifice time with my young family for economic gains. WordPress has been a gateway to what I think so many in the world are pursuing. A creative, fun, interesting, family friendly and profitable profession. Put that in your pipe and smoke it banner-ad-person-who-earns-$3,000-in-one-day-from-home-by-following-this-one-simple-trick. WordPress, and the industry it supports, is evidence that when you work hard and give first, great things happen. WordPress means an opportunity for a new career in something that challenges me. WordPress is life, it has helped me recover from Broken life when i had no job. WordPress means that our business can build and control its own website and have all the features we want with the vast array of plugins out there. WordPress taught us what a community really is. Simple. WordPress mean a lot for me, bringing more change. Good news, thx for this amazing gifts. Well, Ahmad my buddy… I must say that you just picked up the right move.. Congrats to you and AWP (y). I love you what you doing for WordPress community already at wpcouple but hosting giveaway will definitely help your readers to get something as reward of being your loyal reader. I really appreciate it. Keep up good work by the way. 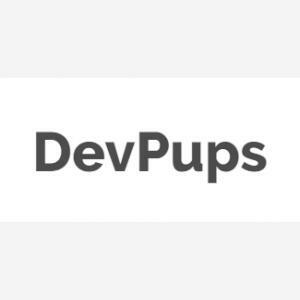 an eco system of talented, open-minded and open-source developers dedicating themselves to push the web forward, help others through code, forum help or meetup and conference talks. My professional network has been mulitiplied ten times because of WP people I met online or IRL, or their acquaintances and I yet have to meet one person I didn’t like. It seems WP has this wonderful addicting attitude that makes people give and help out. Also: I built sites on top of it, that my co-workers or clients find very easy to use. WordPress means quite a lot to me, I work as a website developer and have had to make quite a few wordpress websites so far. So, I do require and rely on it daily. I can do what I like doing with it fairly easily. WordPress to me signifies how a large community can come together and work together to make a great product. Aa a webagency using wordpress this group is just the best and fast way to get information, simply! WordPress has helped me to earn a living with pride, for the first time I feel like I am going something useful in the world. Not only is WordPress a business for me, it’s a launch pad for creating anything I want. WordPress is my way to create an income. WordPress has changed the lives of many people, It changed how we present ourselves with endless opportunities . WordPress has given me endless opportunities to earn the living & present my talents over the web.There is a lot to say,I can write an essay about it. WordPress means freedom to me. The ability to make a living and have damn fun while creating for it! WordPress means freedom. Not complete freedom so far, but I’ve been a freelance WordPress developer climbing the ropes for the past 6 years. It means a light at the end of the tunnel to have complete freedom one day… soon I hope. WordPress means I can creatively cultivate anything. It can handle any type of website project. For me back in Africa, Kenya, WordPress means opportunity. It means having an opportunity to share with the the African story to the rest of the world and also in return share with the people back home what the world has to offer. WordPress helps me have the lifestyle that I want to have! Thanks WP! What does WordPress mean to me? FOSS (free open source software) done right. It attracts both novices and professionals. It’s also founded on the principles that deliver a free open internet which attracts many to come along and extend it into the ultimate platform. WordPress can be a blog sure, but it can also be much more then that. It can be used to design just about any site you could want. Since the code is open and everyone can view it, its far more secure than some proprietary platform since its constantly scrutinized by an endless army of developers. WordPress is a great tool that enables me to help me help our company grow. WordPress to me means a way to enjoy my love of web design and development while also seeing the endless possibilities of creativity. WordPress means to me: being a part of incredible people from around the world with completely different ideas, thoughts and skills, all coming together to help one anther achieve great things for themselves, their families and for their own local communities. WordPress is a way to make a living working from home. It means being able to set up websites quickly; with lots of features because the community has built frameworks, themes, and plugins to do lots of things. WordPress for me is a way to express myself, either by coding 4 it or by blogging with it. Well… WordPress is core of my work. I just love the way WordPress make easy to non-developers to create their blogs/sites and developers to create entire systens too complex as any framework could do. WordPress is safe, beautiful, clean, powerful… and it sounds like poetry. WordPress has enabled me, and my clients, while used as a tool and go-to framework, to fast and effectively produce websites, which turn around business through clear and easily adaptable workflows, and gain momentum for otherwise stalled projects. Wow – that’s a lot of giveaways. WordPress for me is a way of building an online presence for business(es). Firstly, this giveaway is just awesome. It is one of the biggest WordPress giveaway I have came across. Regarding what WordPress means to me, WordPress is my GoTo solution for any website I want to develop. Whenever someone talks to me about implementing a website, I start thinking in back of my mind on how it can be done in WordPress. 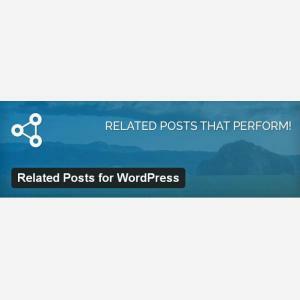 WordPress means flexibility, performance and creativity. WordPress means the freedom to live my dream of staying home with my kids while still being able to contribute to our financial dreams. WordPress is my way of life, everything I do is with WP, thanks a lot. For me, WordPress is what helps me make a living while making people happy with what I give them. It’s a lifesaver work tool. WordPress has allowed me to meet lots of amazing people, and has given me a fantastic way to express my creativity. WordPress means more than life itself! ok, that’s probably a bit extreme. It’s damn nice way to earn a living, though..
WordPress, to me, means ease of building dynamic sites for clients and myself without hardcoding static anything. I love designing through CSS but creating static sites as I did 10 years ago … WordPress has been such a blessing to make the design process so much shorter and easier. The ease of just using different themes straight out of the box is a plus. But I’m a designer at heart and LOVE how easy it is to customize without doing a LOT of extensive coding with CSS, although I do that, too! WordPress made it possible for me to have my multiple sites under one umbrella, on a single platform, using different looks and functionalities without having to empty the bank. It makes it possible for me to run my business as an intuitive artist without requiring assistance from programmers or other specialists. WordPress allows me to make a living by helping people communicate on the internet. WordPress is been the door to a great career for me. WordPress means I get to help others express their thoughts to the world without having to go through the traditional “gatekeepers”. It means everyone can have a voice. 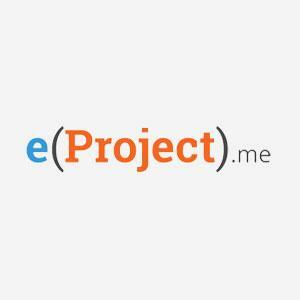 26% of the websites online and the best example of open source. Also best example to how make it worth financially as well! WordPress is my canvas, my office and my inspiration. Amazing giveway for WordPress lovers! “What does WordPress mean to you?” WordPress is freedom, evolution, business. WordPress is you, me and everybody else in a innovative large Community of the most magnificent Open Source product ever! WordPress is the way I changed my life after 15 years in architecture. It’s a community I found. It’s a vehicle that injected passion into my creativity. It sparks enthusiasm and excitement and energises my work. It gives a voice to so many, so easily. It is democracy and freedom and enriches all of our lives. WordPress is Lifepress for me its Prints a money for like printpress…. Open source, Unique , Secure and Wide…..
For me, WordPress means absolute creative freedom both for designing and blogging and now it means a stable must-use tool for business. I’ve been using the platform since 2007 and absolutely love not only what I was able to create with it (my blogs), but what’s it taught me (helped me improve my coding skills, design skills and just overall gather new knowledge). If WordPress was a country I would live in it as each individual can make it better. You would need a pretty big bar to fit the whole Advanced Community into it. Well done all! I feel love and proud to be a WordPress Developer. WordPress was the start of my journey of web development. WordPress is my secondary income source, about 30% of my total income. WordPress is the future of CMS. WordPress allows me to create many kinds of sites and the freedom to do it well with world wide support and user base. WordPress is what truly brought me into web development and that’s where I want to be! WordPress means I have the ability to work freely where and when I want for clients around the world. WordPress means I get to pay my bills :D.
For me, WordPress is a wonderful tool that allows me to create beautiful and highly functional websites. WordPress is my means of supporting myself, but even more it’s become my community. I started a WordPress meetup and we host 2 meetups a month. Out of that group have come many friendships and even a business venture. I proudly call myself a WordPress enthusiast and evangelist. WordPress allows me to create websites for nonprofits at the lowest possible cost. This helps them use funds for their central purposes. After years of using different platforms, html, asp.net, frontpage (cringe…) I decided to focus on WordPress. The more I work with it the more I learn and the more I appreciate what you can do with it. I can build a quick site for a local nonprofit or I can build something much more detailed. It’s so versatile and the community is fantastic! WordPress = KEY. The KEY that unlocked my access to the WORLD. I use WordPress on five of my domain properties. Getting my vision to the world was impossible with no code experience. The door was locked! With WordPress I have created 1. an online shop 2. school (for my niche) 3. of course a blog (for my YouTube Video’s!) 4. business mentoring website 5. jobs listing website. I am currently perfecting the sites and getting them ready for activity but the sites are just what I wanted and will allow me to give what I have to offer (my niche) to the world. I can go forward with confidence that WordPress IS THE RIGHT CHOICE for my business and creative goals! One Opensource product is the KEY that helped me unlock the WORLD. To me, WordPress is a way to make my living. I was astonished how WordPress handle different types of data with only post type, post meta and taxonomy. This is really a poetry. To me, WordPress is a great tool to make something happen. I make my living using WordPress and I always thinking about how to spread the word so others can become a member of this journey too. For me WordPress is a great tool I use everyday. WordPress is accessibility. It is a well supported platform that allows me to sufficiently (and efficiently) shape and adjust focus and workload for clients of all budget categories. As the tools streamline and expand (and boy have they), it becomes increasingly more efficient to create process trees to support clients ranging from those who are new in their business, who may not have either a complete budgetary, planning, or experience resource, to companies who have been established long enough to have an abundance of those resources, to execute their website marketing goals. WordPress gave me hope. WordPress means a lot to me . After dropped out of my college I start learning web technologies along with WordPress from online blogs and channels cause there was nothing to do. First I started as WordPress implementer . Now I am starting level WordPress developer. and developed WordPress sites for my friends and clients(yes they paid me ;)) Hopefully I will ace WordPress in next couple of months. but if I didn’t get to know about WordPress I have been quit coding as of now. WordPress means a business for me. I make my living on the web and for the last 7 years that has meant WordPress! 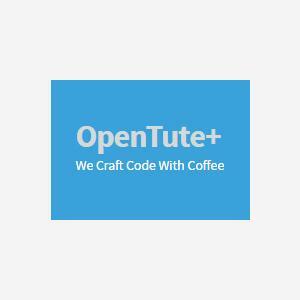 Open source software with a (mostly) open source community. Thanks to everyone involved in WordPress. Love finding new communities for one of the best open source platforms in the world… wordpress can do anything you want. its expendable offerings make it one of the most robust solution platforms in the world. WordPress represents my day-to-day job, my purpose, my career. My life history is in two acts: before WordPress and after WordPress. The last one, even thought has only 4 years, is the most prolific, important and happiest part. What does WordPress mean to me? It’s my creative outlet, this is where get the opportunity to make my ideas come to life. This is where I can make on impact on the world, not just in word, but in products and services that empowers and inspire people. I love WordPress because it gives me the ability to create things and express my inner creative thinking. For me finally there is a great platform (WordPress) that makes it possible to publish websites and online stores. Or, to make whatever I want online. Back 10 years in time it was over-complex solutions to build something equal. WordPress is my digital canvas. It’s the way I make money but mostly is the way I express myself, through my work. I absolutely love it! WordPress is the tool I use to earn my bread. WordPress is the magic solution I use everyday for handle my association projects ! WordPress means that I can pursue a career as an independent web designer/developer, but act as though I have a team of thousands due to the massive open source and plugin community that supports the platform. WordPress has generated 100’s of 1,000’s of dollars for our business and we continue to build around the open web. It is one of the largest online communities we have ever been a part of and cannot wait to see what Automattic continues to bring to the world. WordPress is my work, my hobby, and a lot more. WordPress provides a robust platform for my own blog as well as a great solution for clients who want an easy to manage cms attached to their web presence. WordPress means freedom to create, and to be a part of a great community. It means I can provide for my family on my own terms. It means I have options now. It means a thriving freelance career. It means a strong, loving and supportive community. Thanks to WordPress I have met some wonderful people that I would have never met otherwise. Thanks to WordPress I have paid for my car, house, medical bills and I am no longer in debt. WordPress is the way I make my living. It is also the best way for anyone to get their message out on the web. It can be installed in minutes and yet can be used as the foundation of highly complex websites for everything from eCommerce to building online communities to learning management systems. If you can imagine it, you can do it with WordPress. You might need help ;), but you can do it. WordPress is not only a simple CMS to me, but also it’s a source of my living. I love to play with WordPress. I feel proud to be a WordPress developer. WordPress means delivering my clients, a platform that is developer-friendly, designer-friendly, and end-user-friendly. You guys rock this world!! WordPress mean everything for me now! I am blogging and creating fast wp websites for many friends and clients. WordPress is the most common, simple way to build websites. WordPress means I can spend time developing just the parts my clients need instead of working from a totally blank slate. WordPress provides access to a community of generous and talented people. WordPress provides the opportunity to solve problems and to create solutions for clients. WordPress provides the opportunity to contribute to the source code, create a theme or plugin. These are opportunities to give back, to be unselfish and give for the greater good. WordPress provides the opportunity to be rewarded for quality work, to earn a living. WordPress is an opportunity to be creative in design, coding, business and more. WordPress is a great starting point. Where will you take it? WordPress = sharing and collaborating. I love teaching others how to get started then watch all of the amazing stuff they go on to create as the project is an enabler. I want to win as simple as that, i could say alot of things but wordpress is what i do and all i know for the past 4years. WordPress is a major part of my livelihood, drives me to keep learning and growing, and decorates my car. WordPress means endless creativity to me- the ability to bring alive the vision of others and myself through websites and blogs!! Thanks WordPress and all who have worked tirelessly to keep making it better and more secure and even easier than it started out being! From a blogging platform to a full blown CMS – WordPress allows me to be in control of the content and how the content is managed. IT allows me to build what the clients wants and needs without the hassle. WordPress means so much to me! I’m using and learning WordPress for over 10 years now, and I learned so much from it. WordPress ‘enabled’ me to start y own business the day I became unemployed. That very day! WordPress provides me opportunities to explore, learn, connect with people and concepts, and a way to make a living. I appreciate both the accessibility and welcome the challenges of the platform provides<3. When Gutenberg created the printing press, the few could get word to the many. WordPress has let the many get word to the world! WordPress gives me the ability to create affordable websites for small businesses and non-profits. And the WordPress community is just awesome, super friendly and very helpful! What does WordPress mean to me? Community. WordPress means the possibility of making an income without having to report somewhere to work each day and being able to work from my home. WordPress means freedom. Freedom to run your own website, to build your own business, to set your own hours and to work from anywhere in the world. WordPress means doing something I love for a living, being content at the end of each day being able to sustain a loving family including a lovely wife and two of the most adorable boys. I can’t come to think of a life without WordPress. Period! WordPress is a tool for me. WordPress allows me to create every website I want. For me WordPress was the CMS that allowed me to be a true Front-End Developer. It allowed me to bring my thoughts into the real world and share them with everyone and I think that is just incredible! For me and my clients. WordPress is fun and business at the same time. Is a way to easily and securely launch new products and solutions. It also brings most of the food on the table. WordPress is a part of my life – every day. Its a core component for my business and gives me the opportunity to have a community to give back as a Meetup/WordCamp organizer. WordPress is a simple and powerful way to tell the world about yourself. It is the freedom of expression and an amazing community of caring people. It is the present and the future of the Web. What WordPress means for me. It is my live at this moment. My income is based on all the services I provide for WordPress websites. Adding a new service would be a great promotion. Looking forward to hear from this. It means a lot to me, being on my side the last 8 years… abandoned it for one year for Contao… bad decision! Had me at hello when my closest colleague Freddy showed it to me. It’s fun, i try to pay my rent with it and i love it! It means that i have a opportunity to make something out of my life and look after my family, i have been working with wordpress since 3 years now in short WordPress has been a path to happiness for me and lot of my clients, wordpress can do so much beyond our imagination and it is a Very important part of my daily life and for a long time to come. Thank you WordPress you have helped me Survive. WordPress = FREEDOM and much easier development so we can focus on content. I’ve been using WordPress since 0.72. It has been a major facet of my career. I blogged on a site that was part of the WP news dashboard widget, I’ve released WordPress themes, I’ve co-hosted two WordPress podcasts, I’ve spoken at WordCamps, I’ve written endlessly about WordPress, I’ve done support on a major WordPress plugin, I’ve worked at a major WordPress agency, and I continue to use WordPress and WordPress.com daily. Without WordPress, I have no idea how my career would have shaped up. WordPress is everything from business to everyday life for me for over a decade. I use it for income, for building my startups, client work and my own personal and business sites. The massive community that provides, gives and works on all parts of WordPress should be an example for all open source projects to look up to for great example in running a project both large and small. It amazes me with every years milestone. Its means an income to me! Without it id be still using notepad or text edit. Boooo. It Just make`s your life easier, if you`re up for it. This is probably the biggest giveaway I’ve ever to join in. 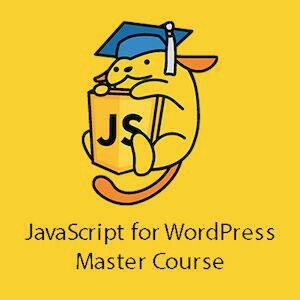 So much stuff are at stake to make your career as a web developer even more lucrative! Hello, Thanks for this fantastic giveaway. I am very excited after entering in this giveaway. I want to use these excellent plugins and themes but because of the insufficient budget, I was not able to purchase these. Hope, I will win this giveaway and will surely use and review these goodies on my blog. WordPress means community, open source, all around awesomeness. WordPress to me is a flexible platform that lets me deliver great value to clients for establishing their web presence/service. WordPress means never having to say you’re sorry. I code for fun and WordPress makes it fun to code. WordPress is a fascination that never ends! WordPress has become much more than a hobby. For myself and many its become “a way of life”! WordPress allows me to provide exponential value to local businesses by serving as a solid foundation to build websites and web apps on. To me, WordPress means value. WordPress is my first priority when it comes to build small to medium website’s for my clients. It is easy for both developers and end users. I can quickly build website by using WordPress because it has thousands of themes and plugins, which makes development in WordPress super-fast. And at the end it has a huge community which is always available to help you. Using WordPress enabled me to set up my own business working from home to take care of my young daughters when we fled from domestic abuse coming up to 10 years ago now . I love the ethos, the community and all the wonderful people I’ve met along the way. It’s a fantastic platform that’s truly flexible – I’ve yet to find something it can’t be coded to do! WordPress gave me the power to translate my graphical and marketing skills in a complete e-marketing solution for my clients. It added immense value to my home-business and now I’m able to add value to the local businesses which are my clients… and all of this for a reasonable price for them and with a nice profit for me 🙂 I Love WP! It means everything to me as I spend most of my waking hours on it. WordPress is the best Tool to create Websites an Blogs is really great for that job. I found ist the best Tool, the bet CMS, the best Website Builder!? It’s my livelihood. It has made developing websites faster, and the easy to learn CMS that end users can quickly learn to use. WordPress is more than just a tool. it’s a way of life the community spirit is unrivalled. The coming together of like minded developers, users all with one thing in common the wish to make WordPress even better. Just returned from WCEU 2016, an amazing event and can’t wait for the next one. WordPress keeps me sane. Keeps my mind busy.. i’m always learning. WordPress To me provides an opportunity to reduce the technology barrier to enable people’s voices to be heard with a community to support people of all abilities and languages. An incredibly flexible tool. From simple to complex cool sites to video wall / signage. It’s my foundation for building sites – and I always start a project with it, “Can I do this with WordPress?” – 99% of the time the answer is yes. WordPress has allowed me to build a business and be more independent. WordPress gives me the most flexible framework to begin building digital strategies for small businesses. I started building sites with a text editor back in the day, moved up to Dreamweaver and finally found WordPress. Haven’t looked back since. Thanks!! As a developer I’m excited about a lot of the hosting a plugin bundles. I have to say in the years I’ve been using WP, I have yet to find anything that can be adopted to such a wide array of needs. It helps me to help others. WordPress allows me to run a business that delivers a diverse range of solutions while leveraging a community of like-minded designers, developers, marketers, entrepreneurs, and content creators to extend the effectiveness of my product offerings. WordPress means I am able to be far more productive by providing an ecosystem driven by other passionate creators – providing a world of opportunities and possibilities not available with any other tool set. WordPress gives me a platform to help support myself and my family, to help others build their businesses and to interact with the world at large. WordPress is a big and beautiful and helps me to create another beautiful things, and help another people. WordPress allows me to make a living doing something I really enjoy! WordPress means a 13 year head start. I’ve been a fan of WordPress from the beginning. I tell clients if they can imagine it, we can probably create it. And then the fun begins. Versatility, novice, professional and client friendly, dynamic. There is great community of users. Authors often provide excellent support for plugins. It is a live functioning, interactive organism that allows me to provide rapid solutions for all kinds of applications from Blogging to video, and gaming. WordPress has become part of my life. As a freelancer, I’m using it to create awesome websites for clients who want to have control over the content of their sites. WordPress enables me to easily develop websites while not sacrificing creative freedom. It also opens up a whole new world of job opportunities. Lots of people say that WordPress is sluggish, outdated, etc., but actually, it works great for me. I like that it is sophisticated instead of bleeding edge and experimental – and with PHP7, it’s actually really fast. For me WordPress is all about the community and high availability of code along with other like minded people looking to do some really neat things. WordPress means I can provide for my family. I owe my career to WordPress! WordPress is a key factor in my current success as a web developer! It’s quick to develop with, and its user-friendliness can’t be beat for my end clients! I love it. WordPress is a community, a path to creativity, and a way to make a difference in any direction your purpose leads you. Most of all, WordPress is Power to the People. WordrPress does not mean only a CMS for me. It means the bread and butter from which my family gets to eat. From WordPress, I can help some of the people somewhere in the world. For WordPress, I can create a website without spending a heck lot of money with a developer. Being so easy as a platform it makes me and some of the users who are not tech-savvy easily to use. Without WordPress, I can not imagine half the person I am today. Highly customizable with flexible hooks and action allows everyone who uses to build any website or blog they want. The existence of WordPress gave me the tools, resources, and community to leave their full-time job with confidence to start their own business. I am sure not now but one day due to WordPress I will be able to ditch my full-time job and make Entrepreneurship as my full-time career. WordPress allows me an affordable and highly efficient way to help my clients be successful online. Journey into web developing started from Dreamweaver MX. Moved to Joomla and settled down with WP. Love WP for it’s flexibility and awesome community. WordPress can be moulded into practically anything. Like any piece of software, it has it’s issues, but the fact that it’s stood the test of time so well and is constantly evolving speaks volumes for the amazing ecosystem behind it. Wow, really an epic giveaway. WordPress is a wonderful platform empowering so many people! It’s amazing to see how it continues to grow and I can’t wait to see where it goes from here! WordPress – is the part of my life for the past 7 years. From the beginning it was just a platform for creating simple business websites, catalogs, blogs. I’d learned how to install and set up plugins, themes, write and format content. What is domain, what is hosting. Then there was a time to go a bit deeper – learn how to customize themes, html/css, how to use code snippets. Next was first custom theme created from scratch from psd layout. Then soon after woocommerce came and changed a world. I started create e-commerce websites, using premium themes and plugins from envato. 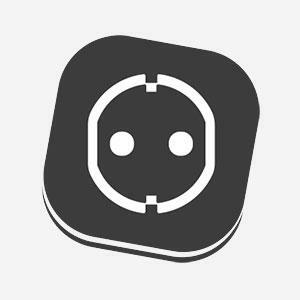 Started learning how to customize plugins, how to boost wordpress, optimize it in many ways. Then adaptive design. Then modern development process – node.js, npm, git, gulp, bower, sass, vagrant, ancieble, composer, poedit, easyengine etc. And I’d learned that everything without any cources and studies, just by practice and wordpress community. By WordPress itself. It is definitely an alternate universe for me. Where I can be myself, post my thoughts and make some money. I use WordPress everyday for my own men’s ministry site. It helps me reach people I couldn’t normally. I also have helped others set up dozens of WP based sites. It’s been awesome watching this thing grow. WordPress is the glue holding together my business, my growth as a developer, and one of my main social circles of friends in the community, all of us WordPress-ing together. Basically, it means a lot. WordPress Is a great platform to learn to code and get proficient with it. I love WordPress and have used it for many years but this year I am learning deeper – love it! this would be a great opportunity for me. I started using WordPress since V2. Though I’m not a professional I enjoying using WordPress in sites and also design sites for friends. WordPress has helped me to establish my online persona in quick and easy way. Its really amazing that WP is suitable for starter as well as professional for complex projects. This is the reason I have always been suggesting WP as CMS. To me using WordPress means empowerment. I can build and publish something on my own ( mostly ) without having to get outside assistance. WordPress to me means democracy. I make a living with WordPress! WordPress is essentially my life. It means to me that i have a career in something I love doing and get compensated for doing it. WordPress allows me the luxury of living a freelance lifestyle and providing for my clients and my family. I wouldn’t trade it for anything. WordPress is part of My life. I can’t live without coding on web and wordpress provides me the fastest & easyeste way. I’m proud to say that I use WordPress since I’m fifteen Years Old. WordPress is responsible for living a better life. 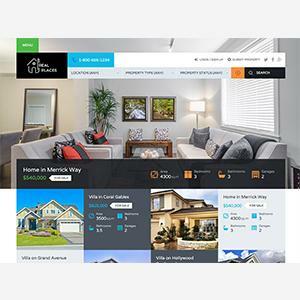 It allows me to build beautiful and functional websites fast and with ease. Plus the community is really awesome. The WCEU talks inspired me to get out of my comfort zone and contribute to this awesome platform. WordPress is for me a way to interract with many peple from all over the world. The spirit in the community really helps to give me back faith the humanity. WordPress powers all my clients websites and I wouldn’t be able to do what I do on daily basis if it wasn’t here. I hope I win this, it’d be amazing, it’d help my business extremely with being able to offer premium licenses. Thank you for posting this giveaway, best of luck to everyone. WP is like opening a pandora’s box to me. Not just creating sites, I was so impressed with WordPress, that I started blogging about it, and I created a blog called as Blogosense. So here I am using WordPress since, last 7 years, and many years ahead! WordPress means to me a change in carreer which I really enjoy! I love working with this CMS an so do my cliënts! WordPress to me is more than just the open source software that I’ve used to help business large and non-profits small (re)establish themselves online. 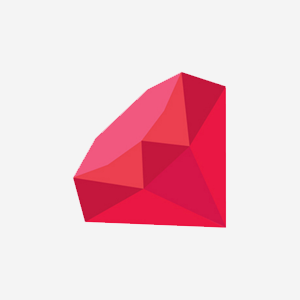 It’s also a community of like-minded individuals interested in progressively moving forward the state of the web with secure, simple, graceful software. Y’all are great people, let’s keep up the great work! WordPress Means everything to me. WordPress has helped me put food on my family’s table over half a decade now and WordPress is the only CMS I work with. WordPress means taking my site to a whole new level. Elegant Themes also helped. WordPress is how I make my living. I’ve built websites since 1995 but using WordPress has changed the way I work, what I deliver to my customers, and my level of productivity. WordPress is so powerful yet flexible and the support of the development community is like none other! WordPress is excellent open source software. When I first started looking into an OS CMS I used Nuke-PHP and Drupal. I personally didn’t like all the setup in Drupal, just too many dang options but the taxonomy was a killer blow to all the competitors. Once WordPress opened up, or I realized I could write custom meta fields and post types easily I was hooked. I learned that the post table is more or less a blob and that cacheing is critical, but it is a slick little tool for a MySQL backend that works well. I used WordPress to power an online degree program, and now I use it to help clients communicate their ideas. WordPress allows me to work when I want and where I want. No more need to be on-site for a job or client any longer, as I can work from wherever I please. WordPress is my favorite tool to build websites and publish content since I first started using it about 5 years ago. It’s completely changed the way I see the web, by taking me closer to open source development and a community bursting with activity. it means lost time. always fixing something/learning. WordPress means a chance to get off disability. I have raised and homeschool a disabled daughter through high school all while on disability myself. Now that she’s in college, I can see a path forward with WordPress to a financially independent life. I have no desire to be rich, just to rise above my circumstances and stand on my own financially. Plus, it’s heaps of fun ?! WordPress is like a Game Changer of my life. Now it’s a important part of my life. I love to create beautiful websites in WordPress. WordPress allows me to create incredible experiences for personal projects, beautiful interfaces for site visitors, and share it all with the community that helps to make it better all the time. WordPress? Not just a software, but became one of the sources of my income, part of my life. I have fun making nice things with it – and at times it’s supplemented my income, at other times been my sole income. WordPress makes it possible for me to do what I love! A way for me to live my life mission that I came to this rock to do. Being introduced to WordPress was one of the best things to happen to me. I now work solely on WordPress projects as part of a great remote team and I couldn’t ask for a better job! WP has opened the door to expanding my skills and enhancing my career. WordPress means the small mom-and-pop clients can have a versatile affordable website. WordPress means freedom for us and our clients. We love how it enables and lifts communities to levels of empowerment that was never before possible. Because WordPress is so widely accepted and supported, there are endless extendable possibilities to enjoy and revel in. WordPress is the backbone of my site. It makes it much easier to focus on writing and not worry about the nuts and bolts behind the scenes. WordPress is the reason i got into webdev. WordPress means my health (mental health advocacy), my server (would never have taken it on without writing a plugin for WordPress to test something I thought I understood – turns out I didn’t). WordPress is the go to tool for me – I don’t use anything else to build websites, I work with themes constantly, and I run my businesses through them. It’s a building block, and foundation, but, because I’m disabled, it’s also my freedom. I’m free because of WordPress – I get to write and build my writing platform, but I have so many great things from following WordPress to the person that I am. Seriously, WordPress is as much a part of my world as my exercise, my server, my writing. It lets me do everything I need to do in my world, either because I know it’s not going to break easily, or because it speeds everything up. I’ve been blogging since the days we had to hand code new links into includes files, and before blogging was a thing – it’s so hard to remember how different it was now, and WordPress changed and levelled the playing field for me. WordPress empowers us to create Websites that are tailored to the requirements of our clients. What WordPress means to me? Well quite frankly: a lot! Since I discovered WordPress and decided to start my own business a lot of happy customers have great websites now. Beyond just that, the open source aspect of WordPress means that we developers come together to collaborate and cooperate much more so than we would do so with proprietary software. Most importantly, it means that my customers fully own the website they’ve purchased. There’s no feeling of being beholden to any company, including my own. WordPress means I have the ability to tap into my creativity. The most friendly user CMS I used. WordPress today is my life! WordPress gives me freedom to create a business whatever way I see fit. WordPress grows as we grow. Using other CMS for other clients – you realise how awesome it is not to be stuck in 2012 or whenever their CMS stopped improving. For me, WordPress means a blogging mate and a cool weapon to trade for a money. I’m business graduate who once had a handsome salary with 6 hours of daily travel to job. WordPress gave me freedom and Independence to work at home and use that travel time with my loved ones. WordPress is one of the most powerful tools of our time. Providing free speech to millions, and thousands of jobs to so many developers/designers – there are very few things greater that you can get for FREE. WordPress is my life. I have my current job because of WordPress. It is the reason I can support my family. Because of Meetups and WordCamps it is also the main subject of any social interactions I have. I literally LIVE WordPress. WordPress lets people build websites that THEY, not a company, are in control of. WordPress became a way of life. It’s all about meeting people (WordCamps), helping each other (contribute to WP/plugins/themes) and serving clients (through website development). Started as a fun project but due to the easy use of wordpress I discovered a new passion which is becoming a travel blogger… Hope to discover even more options within WordPress and its partner potential. Ready to start to get convinced that there is so much more ? Thanks for the giveaway first of all! WordPress is a great software and it lets me build all sorts of sites. It makes my work easy & means a lot of me. WordPress allows me to better server my clients and build creative solutions to their problems using the vast extensibility of the platform. // What does WP mean to you? It’s a big part of my work and gives me endless posibilities to be creative. WordPress to me is the most practical tool to express my programming & design skills combined to a single high standard website with great simple back-end UI that my clients simply loves. The customization possibilities are endless, using high-end crafted plugins or making them. setting up your own theme or integrating API, every day you learn something new, going up the hill. WordPress means freedom. Freedom to freelance and the freedom to extend a great platform to help my clients. When I started working with WordPress years ago, I was hoping that it would “take off” as a major platform. It’s amazing to see how much it’s grown! I’m able to work as a WordPress coach, copywriter and site developer, running my business from home & connecting with people around the world. Can’t imagine what the web would be like without WP! I am doing online business and it is mostly based on WordPress platform. WordPress allows me to enable non-profits, small businesses, and even my dad to share what they love, what they do, what they have to offer, and what they have to say, easily and cost effectively. WordPress means to me the ability to live a life which is not bound by the traditional restraints of a 9-5 job. It gives me the ability to create self worth and wealth by helping others to master the platform and get their own message out to the world. It also gives me the ability to live a rich fulfilled life with my wife and daughter and for that I am eternally grateful. Word Press allows me to create great websites without having to be a tech genius.